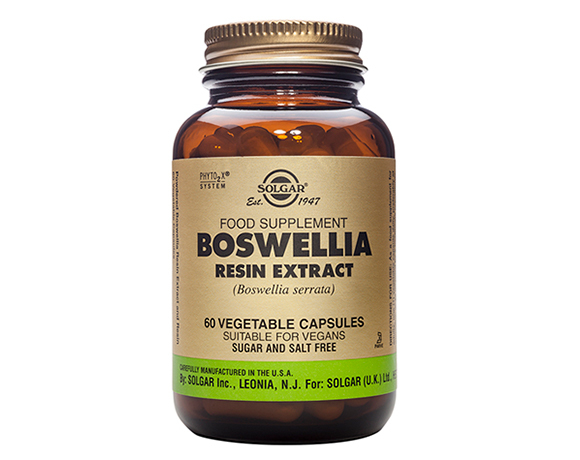 Solgar® Boswellia Resin Extract delivers 227.5mg (65%) of boswellic acid. In Ayurveda Indian frankincense has been used for hundreds of years. Calcium Magnesium Plus Zinc Tablets is one of Solgar®'s premium-quality mineral combination products. Vitamin D3 is a fat soluble vitamin produced naturally by the body in response to sunlight. In this product the Vitamin D3 is presented as a softgel capsule containing fish liver oils. An advanced complex that provides scientifically researched, highly absorbable key bone-supportive nutrients* - calcium, magnesium, Vitamin D3, K2, zinc, and manganese. Glucosamine Hydrochloride 1000 mg (Shellfish-Free) provides raw material for the production of structural components of cartilage.